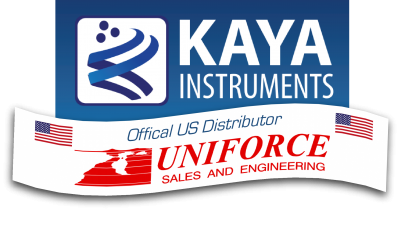 KAYA Instruments has chosen Uniforce Sales and Engineering to be their Master Distributor for the United States. Our dedication, hard work, top tier service, and imaging expertise made us an easy choice! KAYA Instruments serves a global audience in the machine vision and broadcasting market with proprietary products and solutions. It is a leading provider of high-speed cameras, acquisition systems and video interfaces, by technological combination of highly-engineered products. Sophisticated software tools, including rich GUI and featured SDK, integrated with industry leading cameras and acquisition systems, allows customers incredible products for a reasonable price tag. The company follows strict rules of quality control, for all aspects of design, manufacturing,operations and support. KAYA Instruments holds ISO certificate 9001:2015. Company’s products are tested and certificated to appropriate standards, such as CE, UL, FCC etc.